Shortly after arriving from Japan and 30 minutes after moving into a new apartment, I went to Ardmore House for a research seminar. This gave me an opportunity to introduce myself and my work to my new colleagues at UCD’s School of Philosophy. 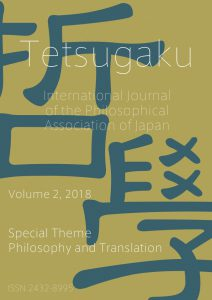 The title was ““The Kyoto School as Comparative Political Thought: Ways forward after Seven Decades of a Dialogue of the Deaf.” The presentation slides can be read on academia.edu.